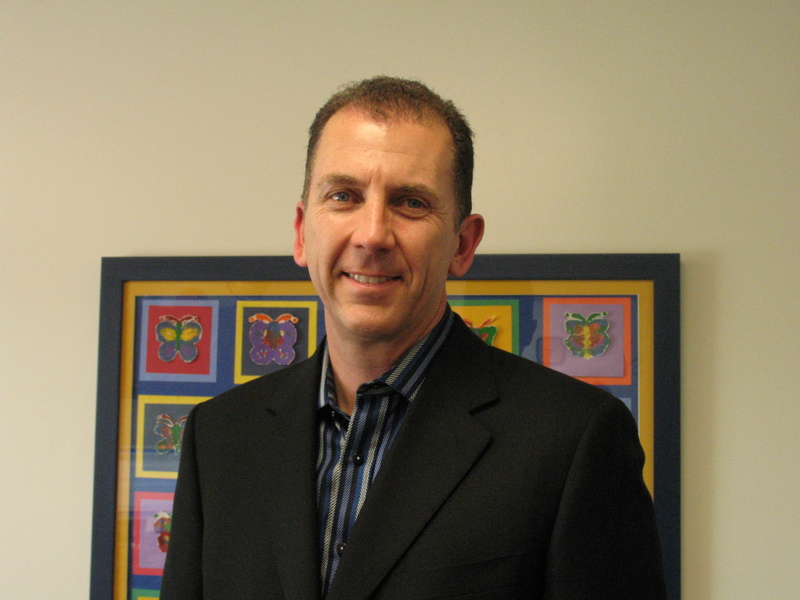 OneDublin.org recently sat down with Dublin Unified School District Board of Trustees President, Greg Tomlinson, to hear his perspective on the current state of our school district and to discuss the future goals of DUSD. Mr. Tomlinson grew up on the peninsula and later graduated from the University of Southern California with a B.S. in Business Administration, with an emphasis on Finance and Real Estate Development. Greg and his wife of 16 years Michele are proud parents of Rachel (8th grade) and Michael (6th grade). This year, both children attend Fallon Middle School. Professionally, Greg has always worked in the real estate industry. Since 1993, he has served as a principal with a private equity firm that specializes in commercial, industrial and land development. Mr. Tomlinson has served as a member of the DUSD Board of Trustees since 2008 and was nominated and elected to serve as its President at the December 2011 board meeting. The Dublin Unified School District is facing many potential challenges as we move into the next budget cycle and beyond. At the same time, the District is also embracing many opportunities to enhance the K-12 experience for all of our children and their future achievement as students. OneDublin.org: We are now entering the fourth year of your term on the Board of Trustees. You were recently elected to the role of President. How did all of this come about? OneDublin.org: In consideration that your Planning Commission post was an appointment versus an elective office, how did you feel about the process of running for an elective office? OneDublin.org: Now that you have successfully served on the Board, how can you encapsulate your experience and your responsibilities thus far? OneDublin.org: Within the past year, there have been many discussions in the District about establishing a Professional Learning Community (PLC). What does the concept of PLC mean and how will it benefit our students and families? Tomlinson: “Very simply, PLC has been proven to work as a vehicle to improve overall academic achievement. The data suggests that implementation of these structures and their results are irrefutable. My colleagues and I have attended workshops that confirm our thinking that this could completely transform education and improve learning. Basically, the tenets of PLC involve classroom instructors and administration sharing best practices with a results-oriented focus. In a previous generation, teaching might have been considered a lonely and solitary profession. In other words, one would be assigned a class roster and we’ll see how the students perform in ten months. OneDublin.org: As the leader of the Board, what are your hopes and aspirations for our school district? Tomlinson: “Overall, we have had great leadership from within the Board, throughout the District Staff and with all of our site personnel – Certificated and Classified, alike. My hope is that we can continue to provide an opportunity for each and every one of our students in the district to achieve their goals – and that they are prepared to be college or career-ready. I want to see instruction that is relevant for all. I’d like to see a continuation of the upgrading for all of our facilities. We need to continue to provide an environment that is conducive to learning. OneDublin.org: As we conclude, we would like to provide you with the opportunity to comment upon some of the “good things” that are occurring within the District and to also add any final comments. Tomlinson: “While I am proud of the progress that all of our schools are achieving, I can’t help but point to Dublin High School. For many communities, the high school often stands as the “benchmark” for the quality of schooling within the District. API growth has been on a three-year upward trend and at DHS it stands at 879. At the same time, tremendous progress has been made at our two middle schools and all of our elementary sites. “I’ve barely been able to touch upon the technological improvements that we’ve made within the classrooms. I am aware of other districts that have implemented 1:1 computing where all students work completely on laptops. There are also innovative concepts in grading and homework out there where each is given graduated weight. What pleases me most is the tremendous working relationship that the Board enjoys with both District Staff and Certificated/Classified staff. “From a fiscal standpoint, the last three years have been challenging. But the relationship works because of the way that we treat one another. We all treat each other with respect, choose to be active listeners and allow the professionals in the business to make their recommendations so that our Board can make educated decisions. I am also blessed to be a part of a highly functional Board of Trustees that works very hard and wants nothing but the best for every student in this district. Note: The DUSD Board of Trustees will engage in a discussion on the feasibility of a General Obligation Bond that may or not be placed upon the June 2012 voter ballot. The next DUSD Board of Trustees meeting will be held on Tuesday, February 14 at 6:30PM at the District Boardroom located at 7471 Larkdale Avenue. Public commentary is invited at this discussion.